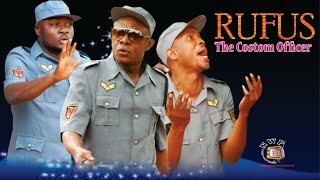 The comic drama comes to an end in Rufus on the Run Nigerian Movie, which is the final sequel to Rufus the Custom Officer and Rufus and His Ogene Boys both showing on Nigeria Movie Network from the channel of NollywoodPicturesTV. The comic drama stars Nkem Owoh, Mcsmith Ochendo, Prince Nwafor, Don Trice Muonagor, Spider, Sharon Francis and Destiny Etiko. Watch, comment and share this video on social networks! 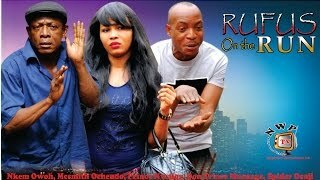 Movie Storyline: Now Rufus and his boys have achieved their game plan, posing as Custom Officers, swindling people of their hard earned money, in the community. Interesting is the manner at which they met their waterloo. On the other hand, Rufus is yet to get the most shocking revelation of his life; the very cause of his whole wasted life. This movie is the final sequel to the movie Rufus the Custom Officer. 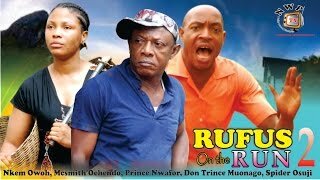 Note that, this is the 3rd part of three episodes in this order; Rufus and His Ogene Boys (1st episode or season), Rufus the Custom Officer (2nd episode or season), Rufus On The Run (3rd episode or season).